To mark the 48th anniversary of his passing we have put together a podcast on the Valachi Hearings, which can be listened to below. Along with Made Member content which explores the hearings in greater details and separates the fact from fiction. The Valachi hearings, also known as the McClellan hearings, investigated organized crime activities across America and investigated leading mafia figures of the era. 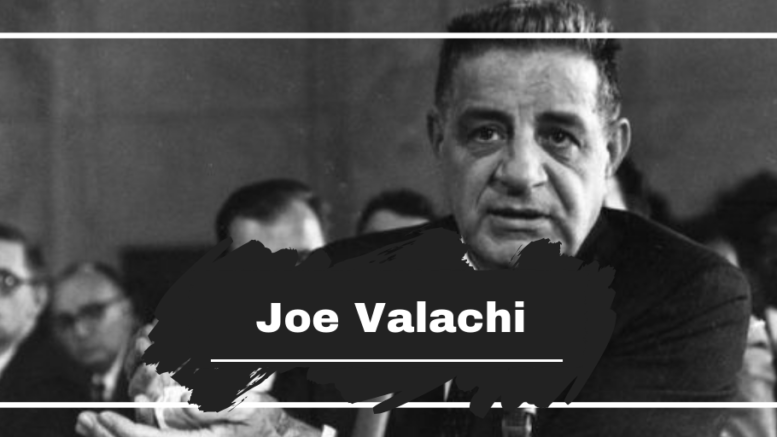 After Joseph ‘Joe Cargo’ Valachi swore the oath of Omertà, he became a made member in the Italian-American Mafia aka La Cosa Nostra. Understandably so, Valachi has had a lot of negative statements made against his name in relation to the October ‘63 McClellan Hearings, such as: “first to break the code of Omertà”, “Valachi’s testimony led to the destruction of organised crime” and so on. But, was all as it seemed though? David Breakspear explores in-depth the Valachi Hearings and straightens out some of the stories.